You'll fall in love with the breathtaking view overlooking the mighty Mississippi. 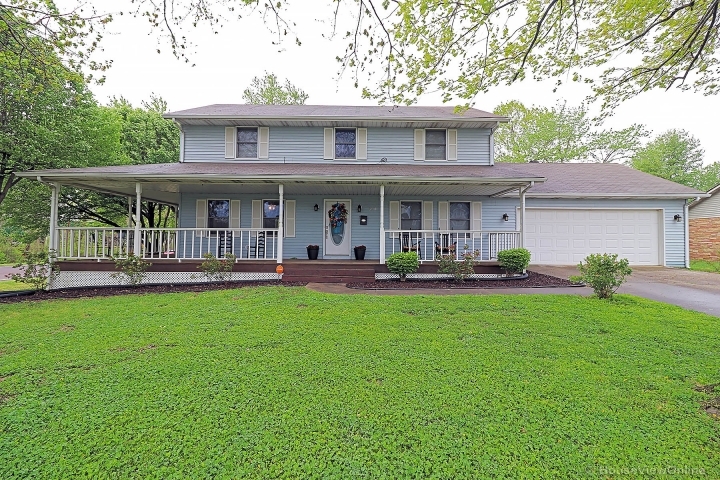 This fabulous 6 bedroom/5 bath ranch home offers 6,000 sq ft of living space nestled away on 4 wooded acres. Hardwood flooring greets you in the grand entry foyer & flows into the great room that features two walls of windows, wrap around deck, vaulted ceilings w magnificent beams thru the dining room & a see thru double sided brick masonry fireplace. The gourmet kitchen has a granite center island, & leads to breakfast/sun room. The master bedroom has a 12 x 12 walk in closet & leads to the luxury master bath with separate dressing room, glass shower & step up marble tub w another pristine view of the river & its own deck. The lower level has an additional 3 bedrooms, kitchenette, additional laundry rom & another cozy fireplace & plenty of extra space to make it your own. The Lower Level walks out to an amazing pool w two separate fountains. 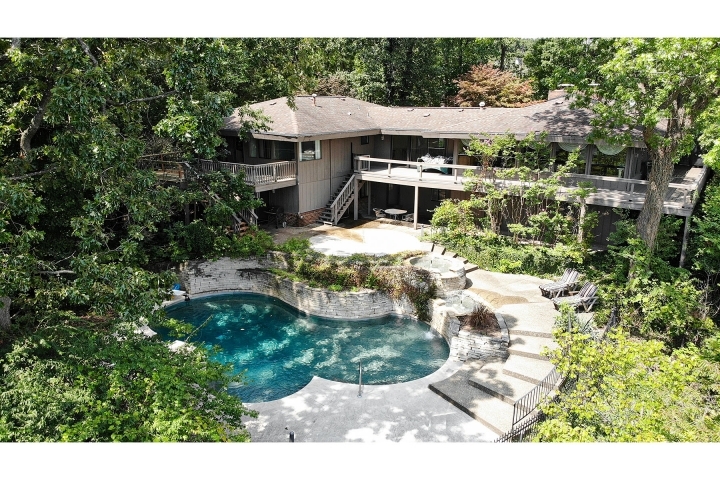 Ideal location that is close to everything yet nestled on bluff for privacy & seclusion.